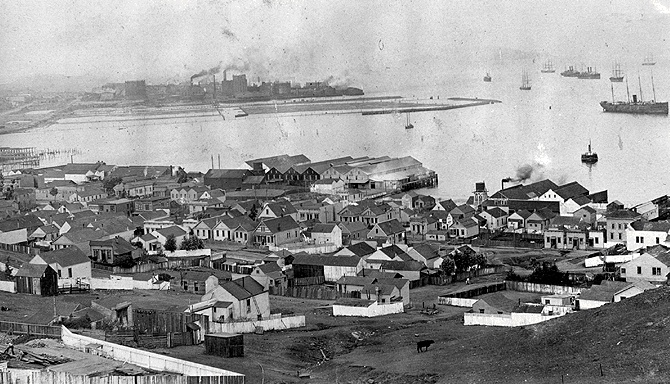 1920 view north from Hunter's Point Ridge over India Basin, Union Iron Works, Spreckel's sugar refinery, PG&E oil burning steam powered electrical generating facilities below Potrero Hill in the distance. Islais Creek waters below. 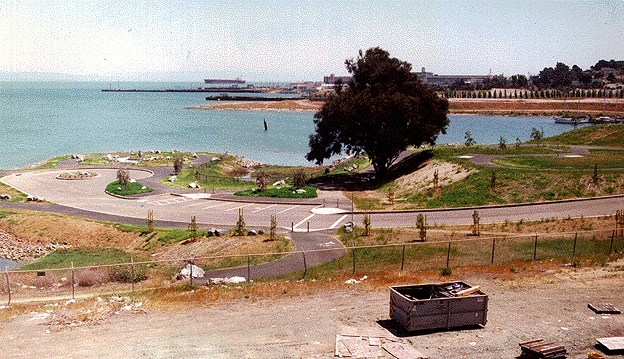 India Basin, pictured here in 1996, where a park was carved out of the industrial shoreline just north of Hunter's Point. 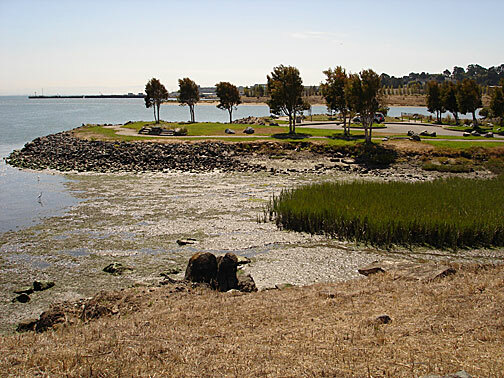 The India Basin park seen in 2005, mudflats and native plants beginning to fill the surrounding waters. 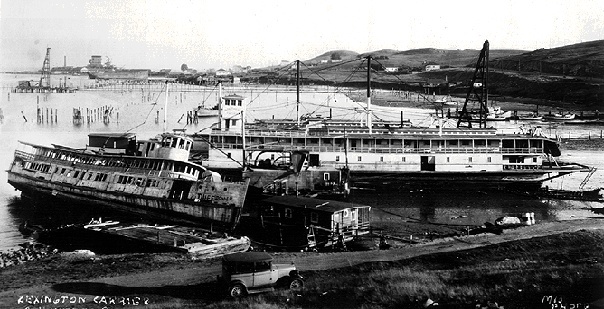 India Basin as seen from above on Hunters Point Hill, December 2012. 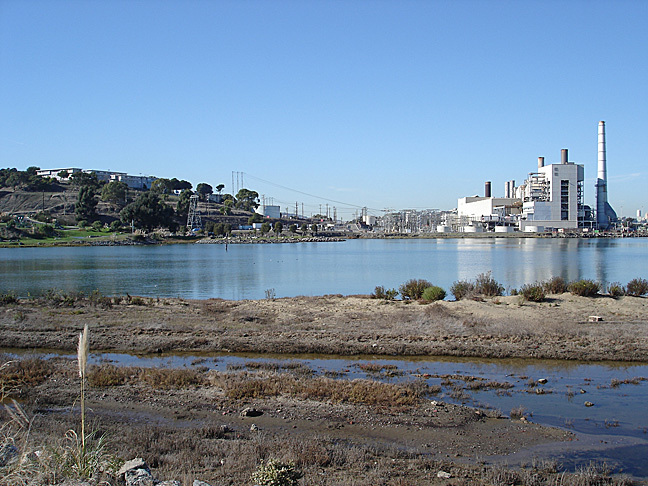 The southeastern shoreline is also home to a number of indigenous plants and a restored habitat, the PG&E plant before its demolition on shoreline.